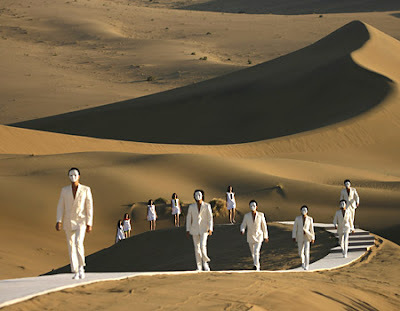 French fashion designer Pierre Cardin chooses the gorgeous desert of Whistling Sand Mountain near the famed Silk Road on the outskirts of Dunhuang in China's northwest to present his 2008 spring/summer collection. This maybe Cardin's answer to Karl's Show. wow. that is grand style!